BurnThis, the mobile app fitness super community that helps you find motivation and inspiration to be healthy, just launched a new innovative feature today called VIP CHALLENGES. The premium feature gives users access to 30-day curated collections of lifestyle hacks (including fitness moves, recipes, nutritional tips and motivational mantras) that are easy to follow and help improve your overall health and happiness daily. BurnThis is a social fitness app that allows users to discover and share fitness tips, healthy recipes, accomplishments and goals using cutting-edge photo customization and social sharing tools. The company's mission is to use technology to harness the power of community in order to foster the world’s most active network of fitness lovers who motivate and inspire each other to live healthier lives. In addition to finding a supportive fitness community, users can also participate in branded weekly and monthly challenges for a chance to win a variety of wellness products and services to motivate themselves even more. The iOS app, which formally launched in January 2015, prompts users to create a fitness profile that includes fitness accomplishments, goals, and insider fitness tips. Users can find everything they are looking for related to health and fitness in one place without having to scour the internet or sift through non-fitness related posts like they do in traditional social media. VIP Challenges take motivation to a whole new level with quick and easy premium 30-day challenges, curated by BurnThis and popular favorite professionals and celebrity trainers. The time-released daily fitness and nutrition hacks are fun and easy, while also helping users to modify the way they think about exercise and food in order to deliver real results. Each week BurnThis awards a $100 cash prize to one lucky winner for added motivation. 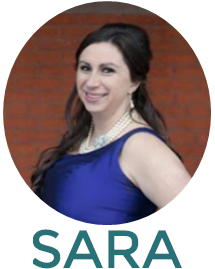 "Our whole goal is to give people an extra boost that makes them feel like they aren't in this alone - that there are resources readily available to make healthy living easy and fun," explains co-founder Anna Kohanski Mason. 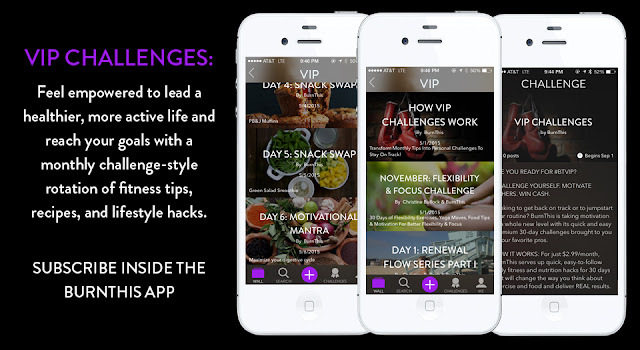 "The motivation, inspiration and new ideas that people get from each others' posts is the foundation," co-founder Monica Johnson continues, "VIP Challenges is an extension of this concept because it enables our users to learn about BurnThis' own curated fitness moves, foods, tips and mantras to further enhance their personal wellness journeys." Finding the motivation to stay on track can be hard. Industry research suggests that those who share photos of their workouts and progress are 5 times more likely to stay on track with their goals. Setting goals is also an important component of staying motivated and achieving fitness success. A feature in the Harvard Business Review recounts decades of research on human performance that explains nine steps that highly successful people take to reach their goals including being specific, knowing exactly how far there is left to go, building self-control and focusing on the positives instead of the negatives. With the launch of VIP, BurnThis combines these core principles to help people stay on track. BurnThis is now available for free on iTunes App Store. Customers can access Premium VIP Challenges with an in-app subscription of $2.99/month. All VIPS receive their first month free.